An unstructured, open and inclusive improvisation session. Check the details and a recording of the session. The participants: Samuel Freeman, Scott Hewitt, Scott McLaughlin, Adam Jansch, Richard Glover, Jack Coleman, Joseph Kudirka, Marcelo Gimenes, Jessica Baker and Ray Evanoff. The three-day Peninsula Arts Contemporary Music Festival 2008 includes performances, lectures, installations, workshops of contemporary acoustic, electroacoustic, lm, jazz, improvisation and vocal experimentation. 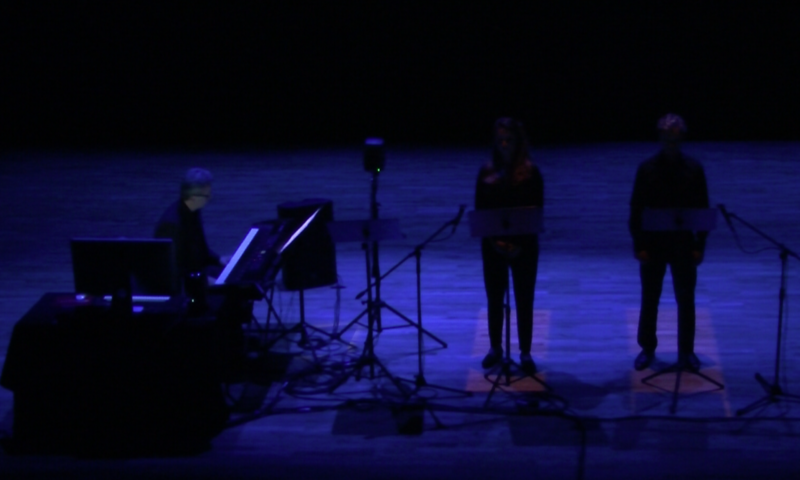 It showcases computer music research and new creative developments at the University of Plymouth as well as promoting performers and composers from around the UK and Europe. At Interface, a series of short performances by members of the University’s Interdisciplinary Centre for Computer Music Research, Marcelo Gimenes improvises in tandem with an intelligent computer piano improviser. The theme of ‘Interface’ is twofold: bringing together traditional musicians with technology; and bringing together music-lovers with the latest cutting edge techniques in performance and composition. Marcelo Gimenes played Brazilian composers (Jonatas Manzolli, Eduardo Miranda and Heitor Villa-Lobos) at the opening of the 2006 edition of the Peninsula Arts Contemporary Music Festival, a leading event that showcases performances, lectures, demonstrations and workshops which explore contemporary music, computer music research and new creative developments at University of Plymouth. In 2001, celebrated Brazilian tap dancer Chistiane Matallo commissioned a new arrangement of the famous Tom Jobim’s The Girl From Ipanema for the Annual St. Louis Tap Festival. Here is a computer generated audio for this arrangement.